The Kardashians never sleep. Yesterday, Kim and Khloe hung out with the Aussies for their Kardashian Kollection of handbags launch in Sydney. We were pleasantly surprised when we took a closer look at the line book, finding on-trend satchels, pops of bold colour and sleek Cèline-esque square totes — all under the $100 mark. Yes, there are some blingier numbers and lots of animal prints too — but we found ten stylish carry-alls that get the Fab tick of approval. 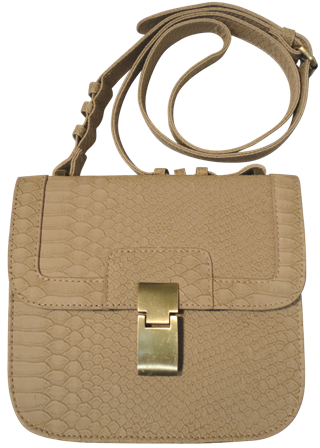 The Kardashian Kollection Flapover Sling Bag has a magnetic fastener to secure the bag. It also has an adjustable long strap to allow it to be worn cross body. 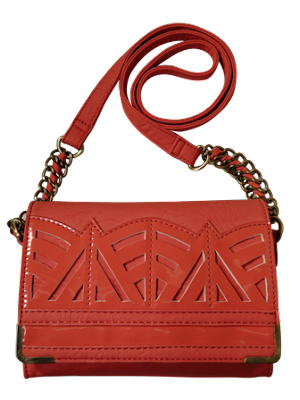 According to Bag Sac, which is the official online retailer, all Kardashian Kollection bags are badged and lined.